MACHINERY The vessel is propelled by a diesel hydraulic system driving the stern paddle wheel. A steerable pump jet bow thruster is fitted forward to assist in manoeuvring and can provide emergency propulsion if required. 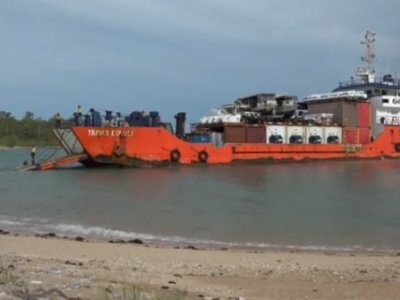 The vessel is fitted with two main propulsion engines and two electrical generating sets, although only one of each is normally required for ship operation thus providing a degree of operational redundancy. Principal machinery installed is as follows:- Main engines: 2 x Caterpillar Model 3406 heat exchanger cooled diesel engines connected to hydraulic pumps. Auxiliaries: 2 x Caterpillar Model 3406 heat exchanger cooled diesel gensets each rated at 155 kW output at 415 volts, three phase, 50 cycle. Hydraulics: 2 x 'Denison' hydraulic pumps supplying two 'Hagglunds' LSHT "Marathon' model hydraulic motors mounted on the paddle shaft. Bow Thruster: 1 x 'Schottel' SPJ pump jet unit directly driven by a Caterpillar Model 3208T heat exchanger cooled diesel engine. Stern Thruster: 1 x Ocean Yacht Systems Model MH-0500-F-133-04 driven by an independent diesel hydraulic system. Air Conditioning: 'Blaico Aire-tronic' manufacture reverse cycle packaged units. Controls: Paddlewheel, thruster and rudder controls are all effected from the wheel house or bridge wing stations. 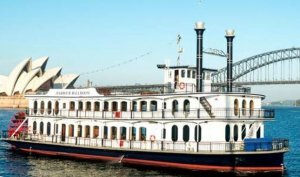 The SYDNEY SHOWBOAT is a stern paddlewheel driven vessel which operates scheduled passenger tourist and restaurant cruises on Sydney Harbour by day and a theatre restaurant with a spectacular cabaret show by night. The vessel is of all steel construction and has two enclosed, fully air-conditioned passenger decks fitted with panoramic cathedral windows all round. An elevated stage is located at the forward end of the main deck. Directly above this area the upper deck is removed, allowing upper deck patrons a view of the stage area. A unique feature of the vessel is the total absence of structural pillars throughout the superstructures which could hinder the view of the stage. This also allows greater flexibility for floor plan arrangements. A comprehensive stage lighting and sound system is installed and is controlled from a lighting desk on the main deck aft. Full artist's change room facilities are provided below deck forward, directly accessible from the back stage area. Comprehensive food preparation and commercial cooking facilities are provided by way of interconnected upper and lower galleys on the main deck aft. A dumb waiter links these areas to a food handling room on the upper deck. A servery bar is located on the main deck aft whilst a passenger bar is located on the upper deck aft. Passenger toilets are located below deck amidships and are accessed from a foyer which also provides concealed access to the engine room. The vessel was constructed in 1987 in Singapore by Siong Huat Shipyard Pte Ltd. 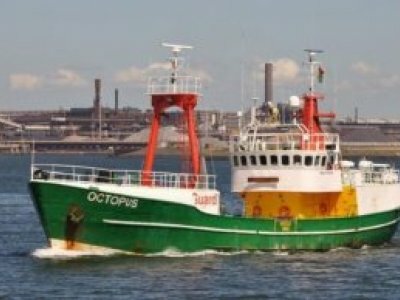 The vessel was designed and constructed to, and under the survey of, Lloyds Register of Shipping classification for sheltered water service and was subsequently voluntarily removed from class and placed in local statutory authority survey following delivery to Sydney. 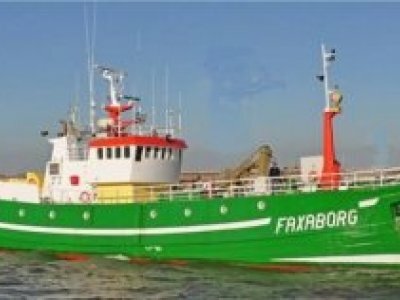 The vessel currently complies with the requirements of the Australian Maritime Safety Authority and is in survey classification 1E. 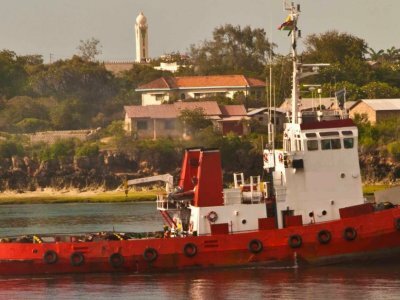 The vessel is licensed to carry a maximum of 400 passengers and 30 crew (430 persons) in smooth water areas. When configured for formal dining restaurant operation the vessel seats between 240 and 280 guests. The current operational marine crew consists of a Master, Engineer and two general purpose personnel. Ballast: Total of 18290 litres of fresh water ballast.